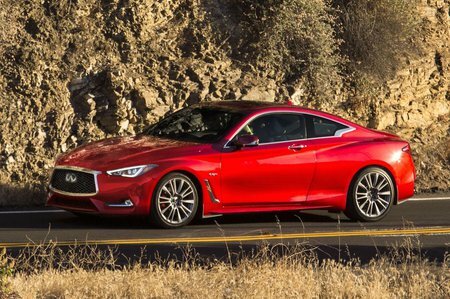 Infiniti Q60 Interior, Sat Nav, Dashboard | What Car? 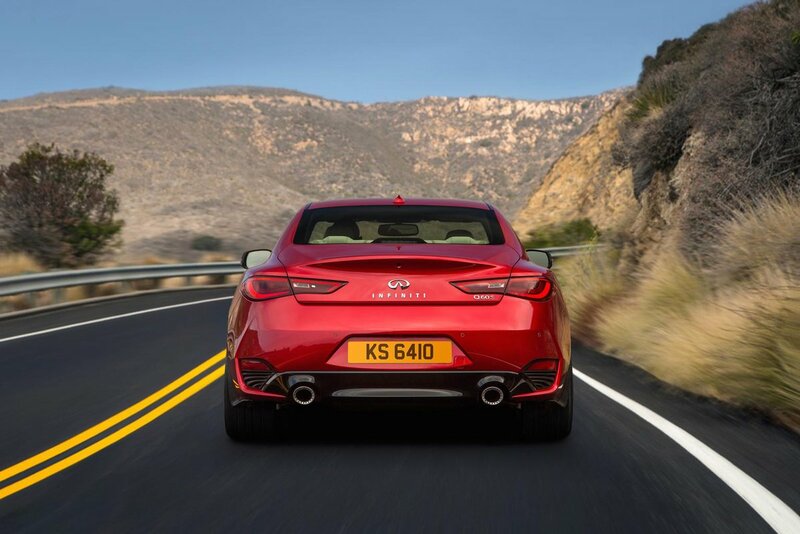 Slip behind the wheel of the Q60 for the first time, and you can’t help but be impressed by the quality of the materials used. All trim levels get semi-aniline leather seats, nicely textured soft plastics and attractive trims. You have to start feeling around the very lowest reaches of the interior before you find anything hard and scratchy. Letting things down slightly are certain buttons and displays that can be found in cheaper cars from the Nissan range of cars, although some may never notice. Importantly, there’s plenty of adjustment in the standard electric seats and enough rake adjustment in the steering column but not quite enough reach adjustment for taller drivers. Head room up front is a bit limited if you have the optional sunroof. 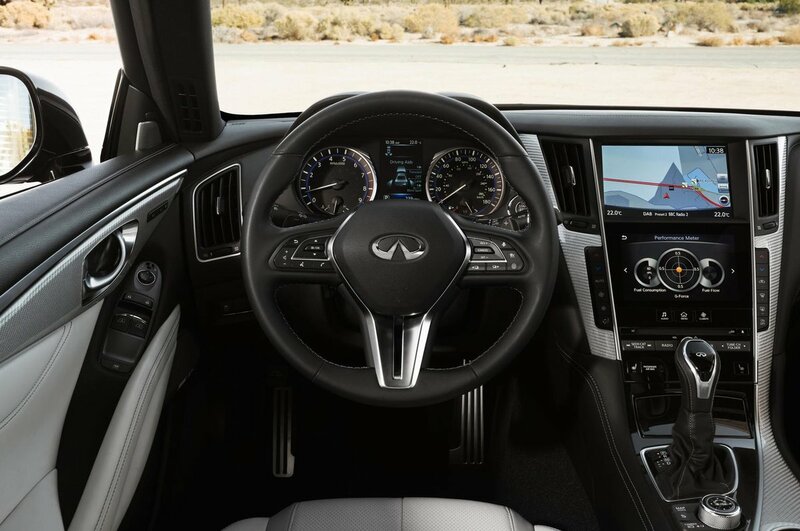 Infotainment is taken care of by a pair of touchscreens that are mounted on top of each other in the centre of the dash. The top screen takes care of infotainment and the sat-nav, where fitted, while the bottom screen deals with the car’s dynamic settings and various apps including calendars and even Facebook. They might look thoroughly modern, but we found the menus to be confusing and they could be slow to respond to your commands. The sat-nav is clear enough though, if a little dated looking compared to the latest systems from BMW and Audi.